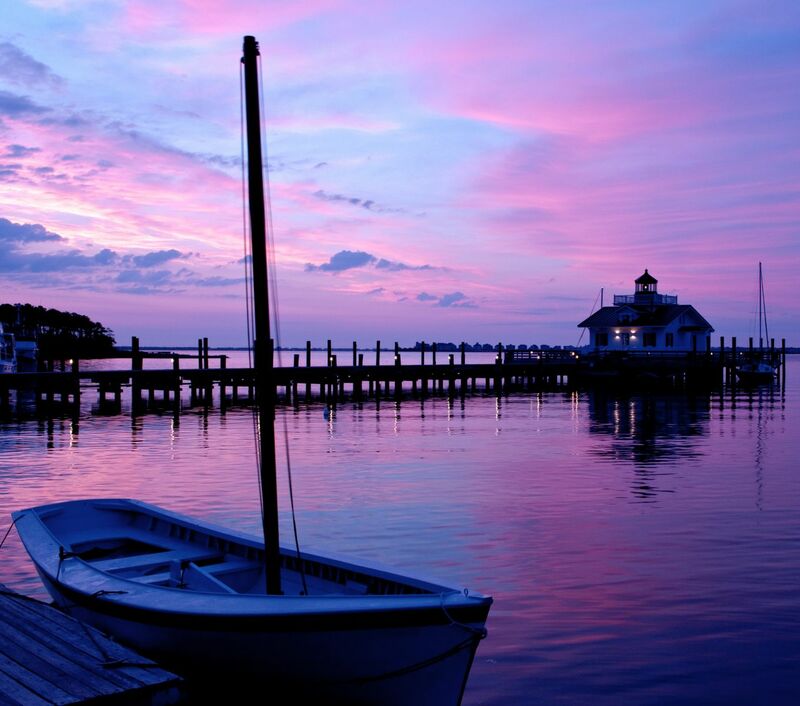 With the abundance of water surrounding the Outer Banks, boating is a popular activity. Take a charter on a deep-sea fishing trip, cruise the sound in search of turtles and dolphins, kayak in the calm and shallow waters of the canals or test your sense of adventure with a parasail ride. These activities and more are available in most areas. Most public boat ramps will lead you to the Albemarle and Currituck Sounds. The only boat ramps with Ocean Access would be Oregon Inlet and Pirate's Cove. Corolla -- Whalehead Club -- At the end of the parking lot. Currituck Mainland -- Soundside Park -- Just 3 miles over the Wright Memorial Bridge on the Currituck Mainland. Soundside Park will be on your right just past the BP station. Caution -- the water in this area is very shallow. Nice playground and skatepark with restrooms, tennis, ball fields, walking path and pier. Kitty Hawk -- Bob Perry Road -- From the Bypass turn onto Kitty Hawk Road (near 7-11), head back about 3 miles to Bob Perry Road and turn left. Boat Ramp and Kayak Launch will be on your right. Kill Devil Hills -- Dock St -- From the Bypass turn onto 5th (Kmart traffic light). Go all the way to the end of the road and turn right onto Bay Drive. The Dock Street Boat ramp will be ahead on your left. Nags Head -- Oregon Inlet Fishing Center -- Approximately 8 miles from Whalebone Junction (MP 16) on Route 12 south turn right into Fishing Center. Manteo Causeway -- Washington Baum Bridge -- Route 64 West heading towards Manteo and Roanoke Island. Boat Ramp is at the foot of the Bridge just across from Pirate's Cove Marina. Manteo Waterfront -- at the foot of the bridge leading to Roanoke Island Festival Park.